To check out our latest videos, visit Successful Homeschooling's YouTube Channel! What's New at Successful Homeschooling? I was only (mostly) kidding when I mentioned Christmas at the end of my last post. I do find it mildly irritating that some people are afraid to say the word Christmas, but I've found that the Merry Christmas vs. Happy Holidays debate plays out mostly online and in the media and not in real life. I wish I could say the same for the division between Christian and secular homeschoolers. My husband and I have always had non Christian friends. In fact, his best friend of 15 is years not a Christian. So when I was invited to an "inclusive" homeschool group meeting as a new homeschooler, I did not think twice about attending - especially when I found out they had a weekly ladies night out for dinner without the kids. After attending several group meetings and events, I found that conversations often veered in the direction of ridiculing creationism, scripture, prayer and curricula that incorporate Bible verses and promote Christian beliefs. I heard a great deal of talk about Christian groups and their "scary" requirements, such as statements of faith. I heard comments that would not have been tolerated were they about Buddhists or Wiccans or any other religious group. The ladies in the group were smart, kind and funny. But as a Christian, I was also in the group for support and encouragement, and I grew weary of hearing my faith ridiculed week after week. In my opinion, in a group that is truly inclusive, Christian beliefs would receive the same respect as any other belief. The homeschool group that I'm now a part of is full of smart, kind and funny women who are also mostly Christian. In order to join, I was required to sign a statement saying I understood the group's beliefs and standards for behavior. Though we pray at meetings and openly discuss Christianity, I do not recall ever hearing other religions mocked or ridiculed. Which group sounds more inclusive? Please know that I am not basing my statements here on my experience with one group. I've seen Christian homeschoolers mocked and ridiculed just as frequently in the many discussion groups I've participated in online. I know that some in the secular homeschool community have been hurt by Christians, and as a result, feel defensive. I think it's important to remember that Christians are imperfect people who make mistakes and hurt people. I have been hurt by Christians. As a Christian, I have hurt others. I can also imagine that some secular homeschoolers find it difficult to be minorities among minorities, without access to a wide variety of support groups, legal organizations and curriculum providers. However, I feel the venom toward Christian organizations and companies is misplaced. Yes, a Christian curriculum may contain Bible verses and *gasp* even teach creationism. Yes, a Christian support group may ask members to affirm their understanding of the group's practices and beliefs. Christian curriculum providers, home school groups and legal organizations do not exist to condemn, nor persecute secular homeschoolers - they exist to meet the needs of Christians. 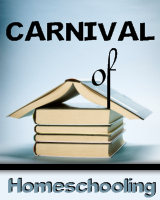 As secular homeschoolers grow in number, more resources will arise to meet their needs. My advice to judgmental secular homeschoolers - forgive the Christians who have hurt you, and extend Christians the same respect you extend members of other faiths. Remember that Christian homeschoolers once had little access to support groups and quality curricula, but they formed companies and organizations to meet those needs, and you can do the same. I honestly find it ridiculous that there is so much division between two groups who have so many common interests and goals. I'm from Quebec (Canada) and i'm not a christian. But in our support group we have christians and people who are in other religions. It's never a problem for any of us cause we are in the group for the support that it gives us for our homeschooling process not to support a religion (we have four religions represented in our group). I'm sorry to hear that you've found the respect that you deserve. I think you are right on with this article! Everyone has their own style of parenting, schooling, discipline, and yes, religion. I believe that you should look at it as a buffet----take what you want for yourself and leave what you don't want behind. If it works for your family that is great, if it doesn't work for the next family, respect that and move on. WE are ALL working towards a common goal---raising our children to the best of our abilities and convictions. And not one of us is any less important because we have a different belief or religion. I completely agree. Thank you for your well thought out discussion. Being Catholic, we are also left out of many of the "Christian" groups because of the ways that the faith statements are worded. I know some Catholics who will sign the statement, but not really mean it. I agree with you and also wish that we could all just get along. There are enough discouraging comments and forces coming from non-homeschoolers, that we as homeschoolers should stick together and support one another. Nice post, Carletta! Graciously put. Yes I have had this experience- in fact I was kicked out of an 'inclusive' group because I invited people to a family movie night at our church. We are all homeschooling for the same fundamental reason...because it is best for our families. We face more than adequate judgement from other families without bickering among ourselves. And yet we still find a way to judge each other. I have witnessed and experienced the type of anti-Christian bias you describe consistently over the last 17 years in a diverse homeschool community. Your article confronts the problem in a very tactful manner. Thank you -- this one goes in the file! It makes me so sad to see these divisions. Secular homeschoolers are always complaining that they are judged by their Christian homeschooling peers, and visa versa. I'm with you...why can't we all just get along??? Your articles have been very thought provoking. I have not experienced the type of ostracism that you describe with Christian vs. non, but I have experienced it within Christian groups. Because some may be more conservative...or, how should I put it?...draw their lines in different places than others, they are labeled "legalistic" and excluded. None of this kind of behavior brings glory to God. Thank you guys for chiming in! Topsy-Techie, that is a great article and I loved how you put it - it is much better to define yourself by who you are than who you aren't! Great article. I find that (and this is true on both sides) those who ridicule others feel insecure about themselves. Too many people are too worried about what other people think of them...I'm guilty of that myself. I agree even some Christians groups do not always align with were you stand so you need to make sure that what you want of the group is going to be available and respect others for their opnions and realize God created us differently so we all believe and feel differently on some things. Nicely put with your article. 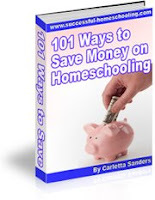 Download 101 Ways to Save Money on Homeschooling! Click on the above graphic for the latest edition!